Sitting on command is one of the most important things that you will teach your dog to do. Fortunately, it’s also one of the least complicated aspects of obedience training so you can expect your dog to pick it up fairly quickly with repeated training. 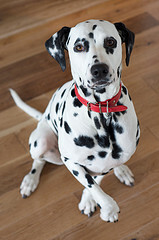 Many new dog owners are unsure of where best to start so we’ve put together some tips for encouraging your dog to learn how to sit when prompted. A small, bite-sized dog training treat can be extremely useful for teaching your dog to sit. Hold it just above his or her head and say “sit” as you do so. This should mean that your dog moves into a sitting position while keeping his or her eyes on the prize. It’s vital not to hold the treat too high so that your dog isn’t tempted to jump towards it. Once he or she is sitting, offer some praise but don’t go as far as petting yet. Try to get your dog to sit again by using the “sit” command as a prompt. This may well be unsuccessful in the early days, in which case you can expect to have to use a bit more persuasion. Encourage your dog to sit by putting one hand on his back and gently pushing his rear end towards the floor. After this, it’s time to give him the treat as a reward. Over time, your dog should come to realise that sitting in front of you leads to treats. He or she may then start to sit in front of you when they are hoping for a treat. Practice sitting several times per day to help your dog to pick things up more quickly. Don’t spend too long in any one session or he or she will get bored and be less receptive . Five minute repetitions will work well for puppies but this can extend to up to fifteen minutes for older dogs with longer attention spans. Schedule training so that it falls just before feeding or playtime. This will make it more enjoyable and rewarding for your dog and make him or her more receptive to your commands. Once your dog starts to make an association between the “sit” command and the act of sitting, he or she will start to learn more quickly. It’s unrealistic to expect this to happen straight away though. Repeated training is key so you’ll need to be patient while your dog understands how to sit. Do you have any tips for teaching dogs to sit? Let us know in the comments section below!